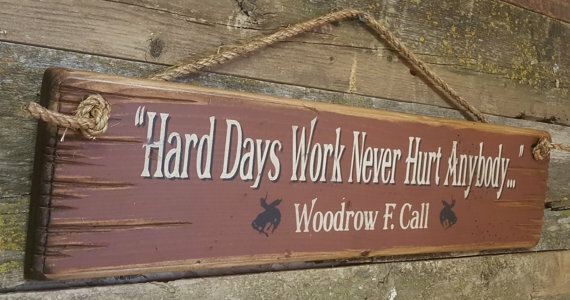 "Hard Days Work Never Hurt Anyone" - Woodrow F. Call. Captain Call had a no-nonsense work ethic and wondered why everyone else didn't. 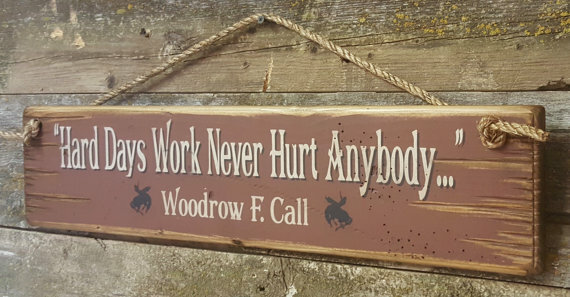 This quote from Lonesome Dove is a good creed to live by. This rust background sign measures 5.5x24 and comes with the grass rope hanger for easy hanging. Handcrafted with pride!